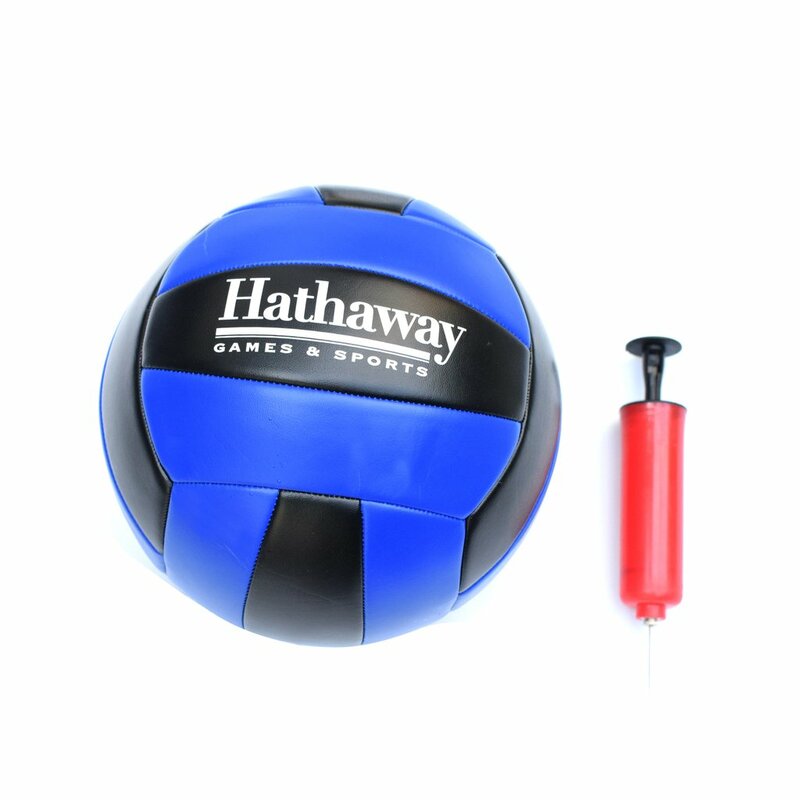 The Hathaway Volleyball/Badminton Complete Combo Set is perfect for recreational fun with family and friends. 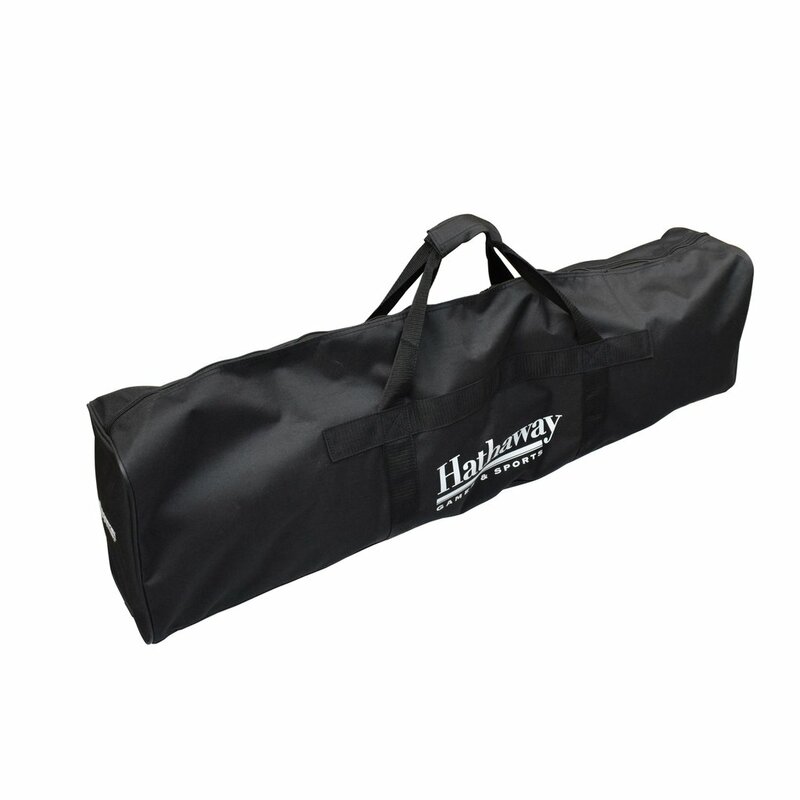 This multi-purpose game was designed specifically for easy transport and set up. 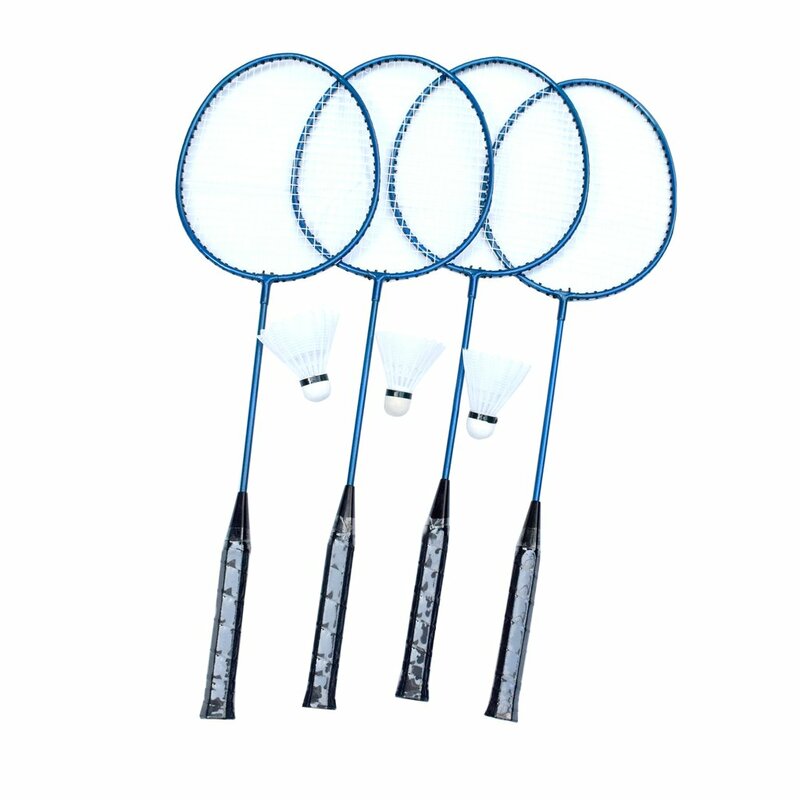 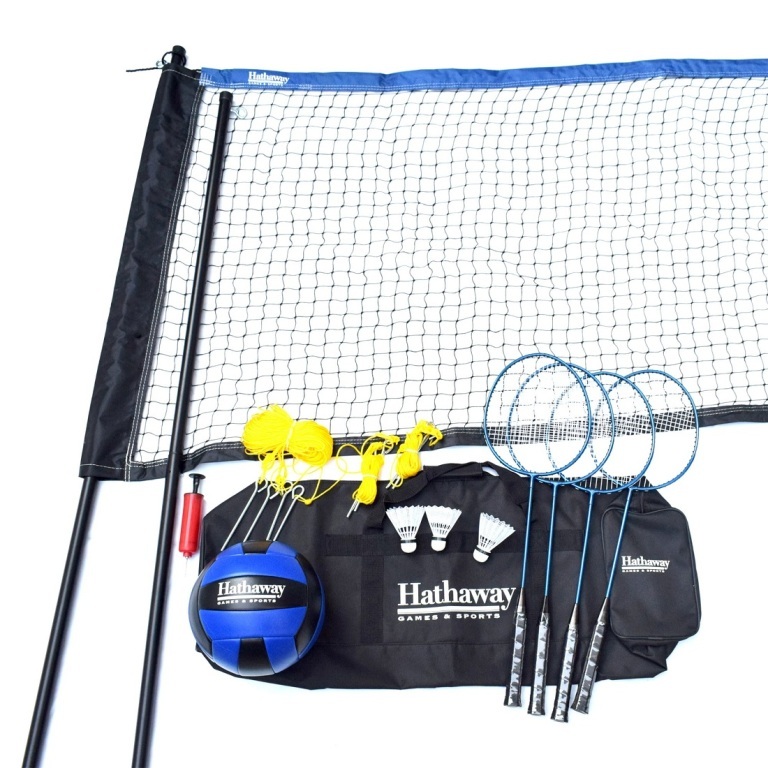 Our Hathaway combo set comes with all the equipment needed to play both badminton and volleyball, with a handy storage/carry bag to keep it all together. 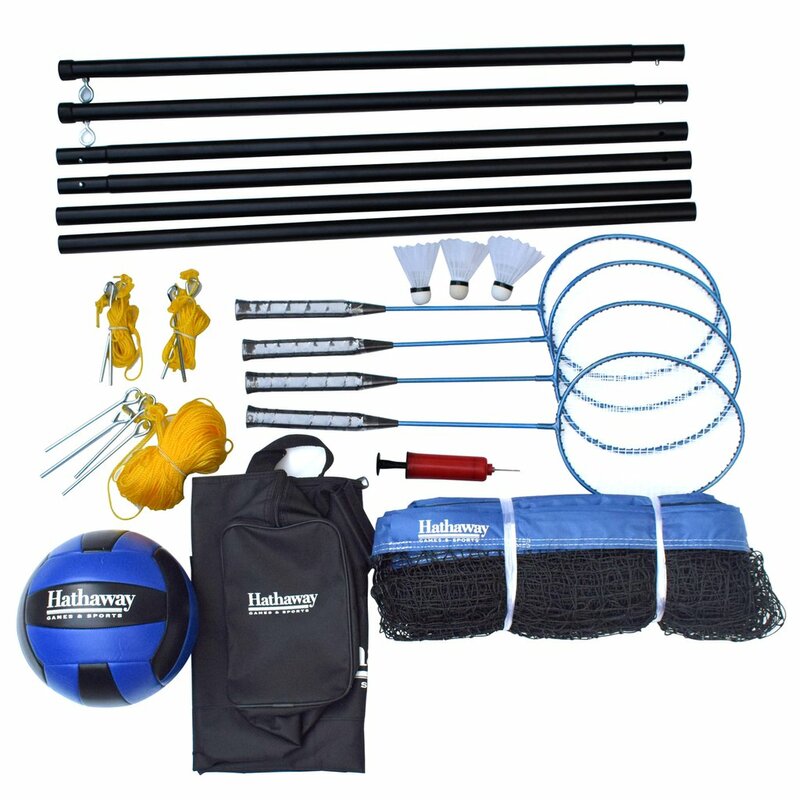 Set up the poles and net, lay out the braided boundary lines and let the games begin!